A fascinating account of the music and epic social change of 1973, a defining year for David Bowie, Bruce Springsteen, Pink Floyd, Elton John, the Rolling Stones, Eagles, Elvis Presley, and the former members of The Beatles. 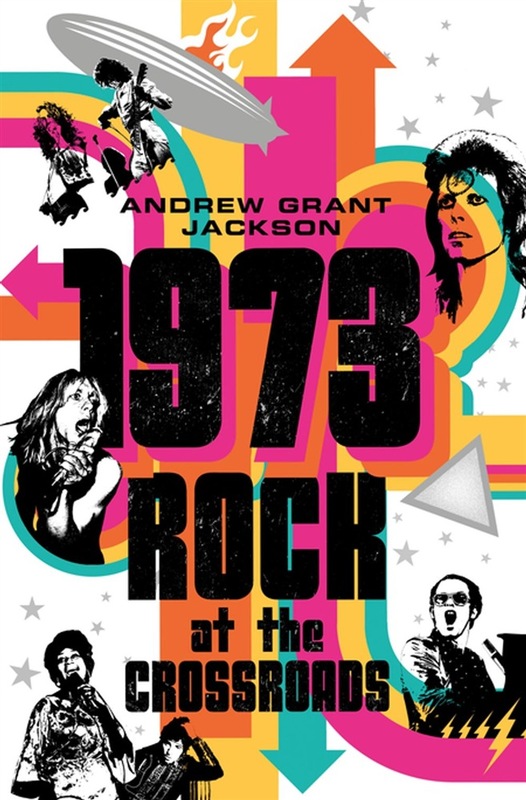 1973 was the year rock hit its peak while splintering—just like the rest of the world. Ziggy Stardust travelled to America in David Bowie’s Aladdin Sane. The Dark Side of the Moon began its epic run on the Billboard charts, inspired by the madness of Pink Floyd's founder, while all four former Beatles scored top ten albums, two hitting #1. FM battled AM, and Motown battled Philly on the charts, as the era of protest soul gave way to disco, while DJ Kool Herc gave birth to hip hop in the Bronx. The glam rock of the New York Dolls and Alice Cooper split into glam metal and punk. Hippies and rednecks made peace in Austin thanks to Willie Nelson, while outlaw country, country rock, and Southern rock each pointed toward modern country. The Allman Brothers, Grateful Dead, and the Band played the largest rock concert to date at Watkins Glen. Led Zep’s Houses of the Holy reflected the rise of funk and reggae. The singer songwriter movement led by Bob Dylan, Neil Young, and Joni Mitchell flourished at the Troubadour and Max’s Kansas City, where Bruce Springsteen, Bob Marley, and Iggy Pop shared bill. Elvis Presley’s Aloha from Hawaii Via Satellite TV special attracted more viewers than the moon landing, while Elton John’s albums dominated the number one spot for two and a half months. Just as U.S. involvement in Vietnam drew to a close, Roe v. Wade ignited a new phase in the culture war. While the oil crisis imploded the American dream of endless prosperity, and Watergate’s walls closed in on Nixon, the music of 1973 both reflected a shattered world and brought us together. Acquista 1973 in Epub: dopo aver letto l’ebook 1973 di Andrew Grant Jackson ti invitiamo a lasciarci una Recensione qui sotto: sarà utile agli utenti che non abbiano ancora letto questo libro e che vogliano avere delle opinioni altrui. L’opinione su di un libro è molto soggettiva e per questo leggere eventuali recensioni negative non ci dovrà frenare dall’acquisto, anzi dovrà spingerci ad acquistare il libro in fretta per poter dire la nostra ed eventualmente smentire quanto commentato da altri, contribuendo ad arricchire più possibile i commenti e dare sempre più spunti di confronto al pubblico online.